For many young people, gaining a driving licence is a significant milestone in their life. In fact it something that many teenagers can’t wait to achieve! 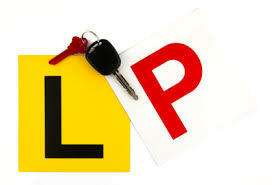 Gaining a licence firstly involves applying for a ‘Learners Permit’. As part of the application form, applicants are generally required to notify if they have a disability. People with a limb difference are considered to have a disability and are generally asked to submit a medical form whereby a doctor advises whether the person’s limb difference will impact on their ability to drive. This is asked of people with certain categories of disabilities or chronic health conditions (eg. epilepsy, arthritis and other joint conditions, diabetes, stroke, cognitive learning differences, other physical disabilities) and is required to assess whether a person is safe to drive; both for their own safety and that of others on the road. The doctor may not be sure whether a young person will be safe to learn to drive or not. In that case the doctor will then refer the young person to a specialist for an assessment. Generally this will be an Occupational Therapist who has additional qualifications to assess the capacity of an individual’s driving and whether or not any vehicle modifications will be required. Depending on the limb difference, sometimes young people may only be allowed to learn in a car that has been modified (eg. a spinner knob added for those with an upper limb difference or modified pedals if a young person has a lower limb difference). Other licence conditions may also required (such as only being allowed to drive in an automatic vehicle). It may be that a young person needs to learn in a modified vehicle, and only be allowed to drive in a modified vehicle once a ‘probationary drivers permit’ is granted. Another condition may be that a young person can only commence learning with a driving instructor in an appropriately modified vehicle (after which a young person may then be able to continue to learn with a fully licenced adult, such as a parent). After these matters have been addressed, or sometimes prior to, the young person must then pass their ‘Drivers Knowledge Test’. Once the young person has been assessed as being able to learn to drive and has passed their knowledge test, he or she will be issued their ‘Learners Permit’ and can then start learning to drive and work towards gaining driving skills and confidence on the roads. In some states, learner drivers must achieve a minimum number of driving hours before they can progress to their probationary driving test. As every young person’s situation is different it is a good idea to talk to staff at the driver licencing office, discuss any concerns or questions that you or your child might have and find out what forms need to be submitted as part of the learner and probationary licencing process. If you have any difficulty during the process it is a good idea to speak with your child’s medical team who should be able to assist you with completing forms and identifying an appropriate Occupational Therapist to undertake a driving assessment (if required). Sometimes a young person with limb difference may also benefit from being able to park their car in accessible parking spots. This is particularly true if a young person has limited mobility, has difficulty walking long distances or is recovering from surgery or medical interventions. For more information about applying for an accessible parking permit visit the Car Parking section of this website. If you experience any difficulties with relevant licencing bodies when your child is applying for his or her L or P plates please feel free to contact Limbs 4 Life on 1300 782 231 as we may be able to assist or contact the appropriate associations or government departments on your behalf.